… this is not an ad! I’d just returned home from my trip to Kentucky, and had spent the previous 3 hours riding in the rain. The light, and the shadows, and the raindrops on the windshield, stopped me in my (very wet, dripping )tracks. My bike was dripping, too, but it had brought me home safely and that, my friends, is all that really matters. Come on over to Life on the Bike and Other Fab Things to see more images from my adventures on, and off, the bike. Please check out the blogs of my fellow contributors to Monochromia, too! 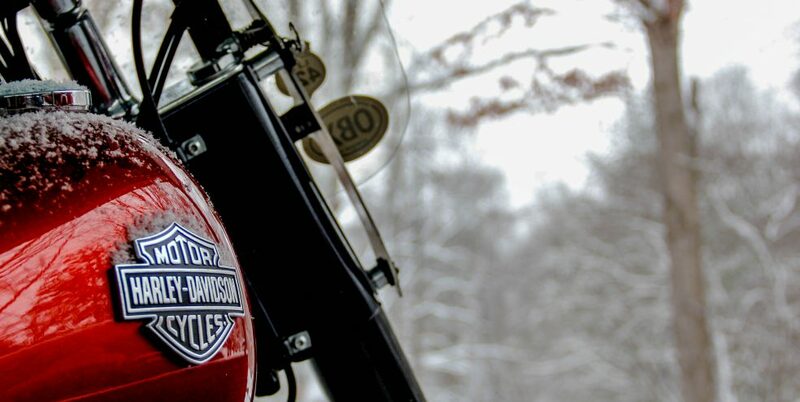 The motorcycle company needs your photos. I swear, LB, I sold my Harley five years ago when I moved to Bucks County, PA. I still cycle, only now I peddle, hard and far. But when these guys and gals pass me on beautiful machines, purring and shining on a peaceful country road, I get fidgety. And your writing and photography is pushing me over the edge. 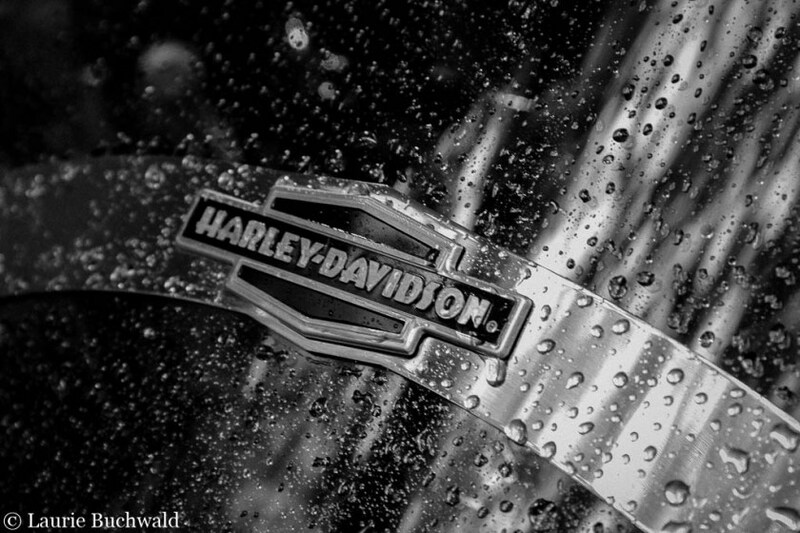 I start perusing the Harley-Davidson website, and one of these days I know I’m going to make the move. More likely sooner than later. And when I do, we’ll have to ride. Thanks, LB. Oh boy! I can’t wait to see if you make that move!! And if you do, we will ride!! So glad you are home safe and sound!!!! Love that photo!!!!! Beautiful! This should be an ad! Sell it to H-D!